← Let’s Get Excited About…Ondrej Roman! 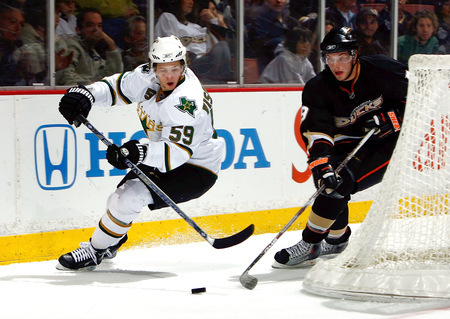 So last night the rumor was that Kari Lehtonen was headed to the Stars in exchange for Ivan “Mini Zubov” Vishnevskiy and a fourth rounder, but it was hardly a rumor as we all knew it was true. Well it’s official now. I was initially in denial over Vish going, but I’m over it now. My reasoning? Well…Vish was supposed to take over where Sergei Zubov left off, but that didn’t happen as Zubie left sooner than expected. Think about it, though. I think a lot of us believed him to be the next Zubov. And that, my friends, was our biggest mistake. We wanted something we’d never have. There is absolutely no replacing Sergei Zubov. You just can’t, and Vishnevskiy never would have been able to. He already had unrealistic expectations put in him when he was drafted, and those have gotten bigger since Zubie left. It just wasn’t fair to do that to a kid. Chances are we would have been disappointed as fans when we expected Sergei Zubiv and saw Ivan Vishnevskiy. It’s a no-win. But, wait! What about Turco? And Auld? This entry was posted in Atlanta Thrashers, Marty Turco and tagged dallas stars, kari lehtonen. Bookmark the permalink.